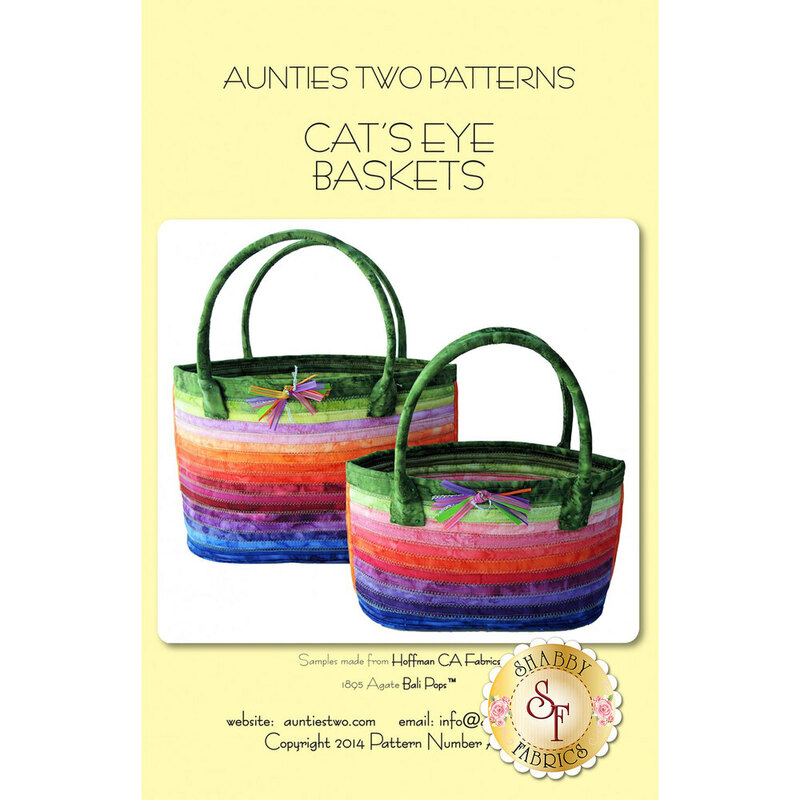 This pre-cut friendly pattern from Aunties Two Patterns uses 2½" strips to create a beautiful masterpiece all your own! Create a basket with your favorite collection, or create one to give as a gift to a friend. 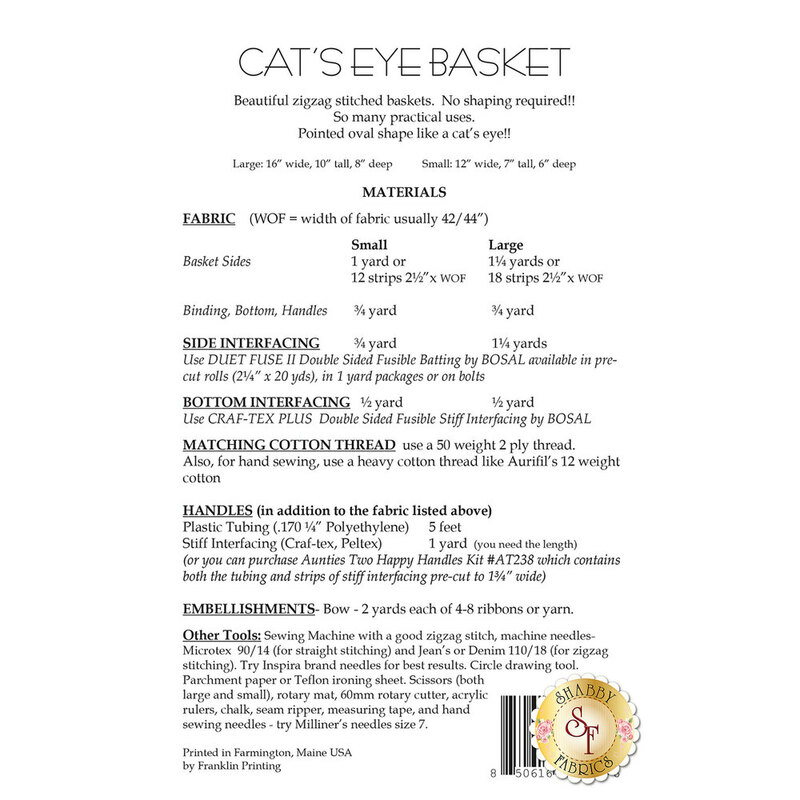 These baskets have a pointed oval shape, giving it its name! Pattern includes two sizes - Large 16"W x 10"T x 8"D, Small 12"W x 7"T x 6"D.